Both the wrist spinners have so far played 36 ODIs each and will be key to India's chances in the World Cup in England starting May 30. 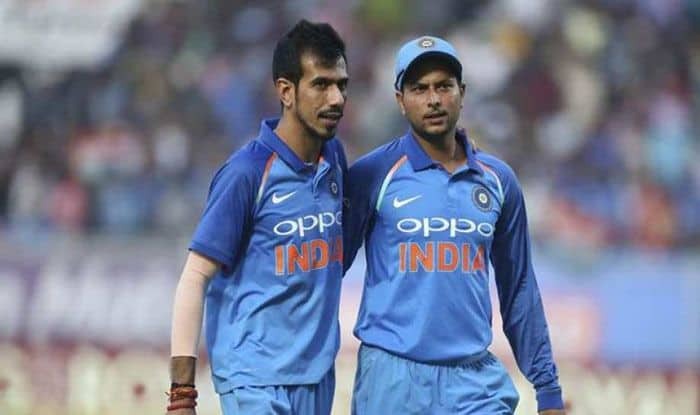 Like pacers, spinners too hunt in pairs and that’s why Kuldeep Yadav feels the “pangs of separation” when spin twin Yuzvendra Chahal is not operating from the other end during India’s limited-overs matches. Both the wrist spinners have so far played 36 ODIs each and will be key to India’s chances in the World Cup in England starting May 30. In recent times, India once again tried the one wrist spinner-one finger spinner experiment but Ravindra Jadeja’s failure to trouble the batsmen has again brought the focus back on the chinaman-classical leg spin duo. “When you don’t play, I miss a lot of aspects,” Kuldeep was seen telling Chahal during an interview conducted for the fun segment of ‘bcci.tv’. “We understand each other’s bowling and also the track. It’s not always that we are bowling in tandem. There are times when you bowl earlier and I come in later, but we talk a lot about how the pitch is behaving and how the batsman is playing,” Kuldeep, who picked up four wickets in India’s comprehensive win in the first ODI against New Zealand, said. “We (he and Chahal) also use same variations but it confuses the batsman (who is thinking otherwise). We got a lot of wickets in South Africa, grabbed a few in India and now we are getting a lot in New Zealand,” said the UP spinner after the duo accounted for six of the Black Caps dismissals. The performance was even more satisfying considering that the track at the McLean Park was flat and didn’t offer too much assistance for bowlers. “It was a batting wicket with not much turn on offer. The ball was skidding a bit, and it was hitting the bat well. So we had to bowl good areas along with using variations,” he said. “When you use a certain kind of variation then it becomes important to pitch it in right areas which makes it effective. Both me and you did it well,” Kuldeep complimented his partner in crime.